Peacemaking works because it transforms relationships. Conflict creates fear, anxiety, and frustration. Consequently, many people avoid it at all costs. We fear conflict because we are uncertain about ourselves and our relationships with others. We experience anxiety in conflict because we do not know how the conflict will end. 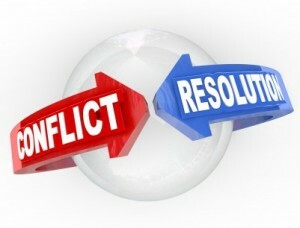 For most of us, conflict is unpleasant because it can result in anger, hurt feelings, or distrust. Peacemaking addresses these problems and gets to the heart of the conflict without fear of escalation. When people agree to follow some simple ground rules, with or without an intermediary, they move into an empowering and special relationship. This relationship requires a commitment to be constructive, to actively listen, and to be empathically accurate. Conflict escalates when this temporary special relationship is not formed. How many times have you heard voices become angry or louder as an argument ensued? The conflict is escalating because neither person believes that he or she is being heard. The easiest – but least effective – way to be heard is to raise one’s voice. However, then the other person doesn’t feel heard and raises his voice in response, and so on. Sometimes out of sheer frustration violence erupts. Peacemaking stops this escalation by committing each person, for a few moments, to be in a positive, rather than a negative, relationship with another. Peacemaking also works because it changes personal orientations from a competitive and hostile attitude to a cooperative and constructive attitude. The attitude shift does not change immediately. However, as people work through the peacemaking process, they begin to understand each other’s perspectives and, in that context, re-evaluate their own positions. 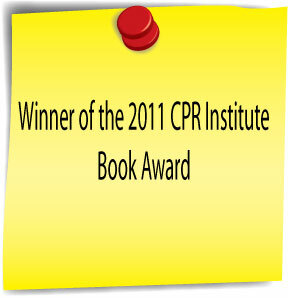 Often times, this re-evaluation and recognition provides the basis for transforming the conflict. On an emotional level, peacemaking works because it allows for mutual recognition of injustices or wrongs. In many conflicts, each person feels violated by the other. Peacemaking allows both parties to recognize not only that they have been victimized, but that the other person also may have a sense of victimization. Similarly, peacemaking allows parties to acknowledge there has been a wrong or a violation. The Japanese take this to an extreme. Even when one party is clearly wrong and the other is clearly right, the party in the right will attempt to find some reason to offer apology so as to make the reconciliation process mutual. 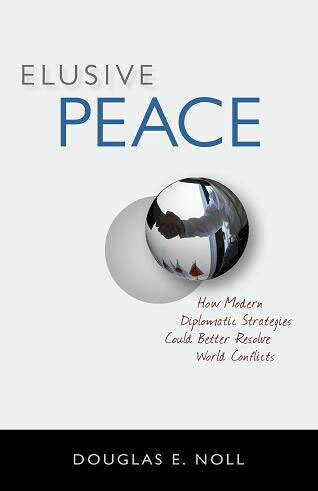 On a practical level, peacemaking allows for a discussion of how to make things right. While people are in that special temporary relationship, they can identify how the wrongs, whether mutual or not, caused harm, and what they think is necessary to remedy the harm. Sometimes making things right is as simple as an apology. Other times, making things right is substantially more complex. However, if the parties have committed to the peacemaking process, they have agreed the only acceptable solution will be one that satisfies everybody’s interests. Peacemaking permits movement into the future. Having recognized wrongs and discussed how to make things right, the parties find that the trust-building process begins with affirmations of future conduct. Many times the parties in conflict agree to support each other in ways that did not previously exist. The conflict thus becomes an event for strengthening relationships and providing for cooperative benefits that did not previously exist. Sometimes discussing future intentions uncovers a need for outside support, training, or other assistance. Without this discussion, these needs would go unmet, providing the seeds for conflict on another day. When people can come together in hostility and anger, acknowledge injustices, whether mutual or not, decide how to make things right, and discuss their future needs and intentions, they engage in a process of moral growth. They learn to confront their fear, anxiety, and frustration. They learn to listen and to be empathic. They learn to recognize and acknowledge the other’s perspective. They become empowered with their own ability to make decisions constructively and cooperatively. They begin to look to the future and rebuild trust. This entry was posted in Uncategorized and tagged alternative dispute resolution, bargaining, communication, conflict, conflict emotion, conflict in the workplace, conflict resolution, family peace, interest-based negotiation, listening, mediation, mediator, negotiation, peace, peacemaker, peacemaking, world peace. Bookmark the permalink.